On my 2010 trip to El Salvador, I had the honor and privilege to be a member of a group of Americans who spent some time with our fellow American, Fr. 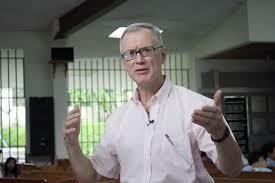 Dean Brackley, S.J., then the Rector of the University of Central America (Universidad de Centro America or UCA). I recall being impressed by his warm and engaging manner as he shared his experiences in that country and urged us to tell our friends in the U.S. about our experiences. Brackley, therefore, volunteered to leave his teaching at Fordham University in New York City and to go to UCA to help it surmount its many challenges in the aftermath of that brutal crime. This post is based upon personal recollection, my blog post, Annual Commemorations of Oscar Romero’s Life (Oct. 20, 2011); Marrin, Jesuit who replaced slain Jesuit priests dies, Nat’l Cath. Reporter (Oct. 17, 2011); Vitello, Rev. Dean Brackley, 65, Dies; Served in El Salvador, N. Y. Times (Oct. 29, 2011); Letter, Congressman James P. McGovern to Fr. Jośe Maria Tojeira (Oct. 18, 2011); Rocio Fuentes, Dean, exemplary Christian (Oct. 26, 2014). Just this October the Spanish court’s Criminal Chamber, en banc, decided that the court did have jurisdiction over all of the charges: murder, crimes against humanity and state terrorism. First, she reported that the case is now at a standstill because none of the suspects is physically present in Spain. Next year, however, she hopes this will change. In April of 2015, Senor Montano will complete his incarceration in the U.S.  By then the U.S. must decide whether it will honor Spain’s request to extradite Montano to Spain. Although the U.S. is not legally required to consult with El Salvador on this issue, as a matter of inter-state courtesy the U.S. probably would do so, she said. Therefore, Bernabeu has conferred with officials of the Salvadoran government, who have confirmed that there is absolute willingness to collaborate with the Spanish process for the extradition of Mr. Montano from the U.S. Thus, it is important to know that when the U.S. faces the decision whether to extradite Montano, the government of El Salvador has decided not to interfere. Second, upon such an extradition and Montano’s arrival in Spain, the Spanish case would be re-activated to prepare the case for trial, presumably within 30 days. Third, if, however, the U.S. deported Montano to El Salvador, the Salvadoran courts probably would refuse to extradite him in light of their prior refusal to extradite to Spain other indictees in the case who are Salvadoran citizens. In that event, the case in Spain could not proceed further. Fifth, she said El Salvador’s General Amnesty Act of 1993 was a major problem for this case and others like it. 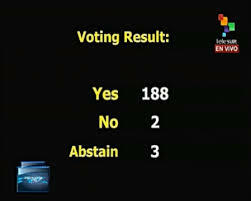 This was so even though the Inter-American Commission on Human Rights in December 1999 decided in the Jesuits case that the Amnesty Law violated the American Convention on Human Rights and ordered El Salvador to declare it null and void and even though the Inter-American Court of Human Rights in December 2012 in another case (the El Mozote Massacre) ordered El Salvador to repeal the Amnesty Act. That has not yet happened, but the Constitutional Chamber of El Salvador’s Supreme Court sometime soon is expected to rule on the constitutionality of that Act. The Spanish court has jurisdiction over the case under Spain’s statute for universal jurisdiction over the most serious crimes of international concern. This statute is an implementation of the international legal principle of universal jurisdiction whereby a state has universal jurisdiction over certain crimes of international concern regardless of where the crime was committed or the nationality of the victim or perpetrator. A detailed summary of the Jesuits case along with some of the court documents and other materials is available on the website of the non-profit Center for Justice and Accountability (CJA) based in San Francisco, California. CJA, the sponsor of the case in Spain. It is an international human rights organization dedicated to deterring torture and other severe human rights abuses around the world and advancing the rights of survivors to seek truth, justice and redress. It uses litigation to hold perpetrators individually accountable for human rights abuses, develop human rights law, and advance the rule of law in countries transitioning from periods of abuse. This account of Bernabeu’s comments is based upon Castillo, 25 Yrs After El Salvador Priest Killings, Groups Press for Justice, NBC News (Nov. 13, 2014); Labrador & Fatima, The government of El Salvador has decided not to hinder Montano’s extradition to Spain, El Faro (Nov. 14, 2014); Jaminez, Await Extradition of Montano, DiarioCoLatino (Nov. 15, 2014); Dalton, “Cristiani knew at time of slaughter of Jesuits in El Salvador,” El Pais (Nov. 17, 2014). El Faro also recently published (a) a collection of articles from other Salvadoran newspapers evidencing the right’s hatred of the Jesuits before their murders; (b) biographies of the murdered priests, their housekeeper and her daughter and the six Salvadoran military personnel who were prosecuted for the crime in El Salvador (with only two convicted and then subsequently released from prison on the basis of the General Amnesty law); (c) an article describing how that Salvadoran prosecution for this crime was impeded by their attorney general; (d) an archive of U.S. diplomatic cables and other documents about the crime; and (e) a hyperlinked collection of El Faro’s prior articles about the Jesuits case. 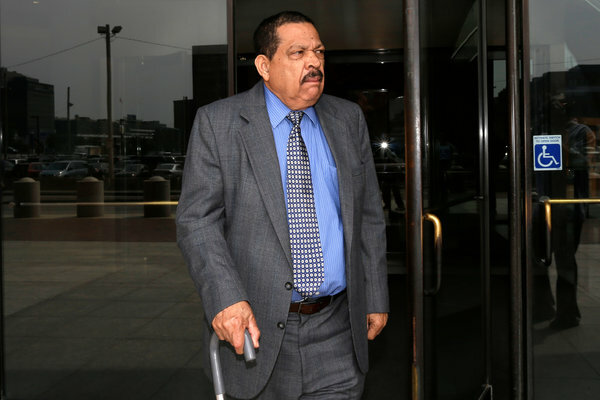 The U.S. legal proceedings against Montano are discussed in prior posts and comments: Comment [to “Spain Requests Extradition” post]: Ex-Salvadoran Military Officer [Montano] Indicted for Alleged Violations of U.S. Immigration Laws (Feb. 12, 2012); Comment [to “Spain Requests Extradition” post]: Former Salvadoran Military Officer [Montano] Pleads Guilty to Lying to U.S. Immigration Officials (Sept. 15, 2012); Former Salvadoran Colonel Inocente Orlando Montano To Serve 21 Months in U.S. Prison (Sept. 5, 2013). 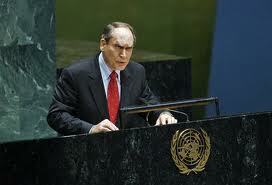 On December 16, 2008, the U.S. Embassy in El Salvador sent a cable to the U.S. Secretary of State. 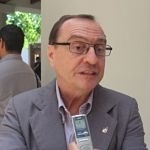 It reported that earlier that month senior officials of the Salvadoran government went to Spain and met with its attorney prosecuting the Jesuits case and with other top-level Spanish government officials, who said they were embarrassed about the case’s seeking to add Alfredo Cristiani, El Salvador’s former president, as a defendant. 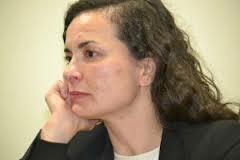 The Spanish prosecutor also promised support and cooperation to the Salvadoran officials. Yet another post reviewed the decision in the El Mozote Massacre case by the Inter-American Court of Human Rights. This most unfortunate situation “should serve as an urgent reminder to the Obama administration that the benefits of moving swiftly to restore diplomatic relations with Cuba far outweigh the drawbacks” as was argued in a prior Times editorial and emphasized in a recent post to this blog. The Times also notes that Fidel Castro in an October 19th essay in the Cuban newspaper, Granma, said that Cuba “will gladly cooperate with U.S. personnel in this task [of combatting Ebola], not in search of peace between these two states which have been adversaries for so many years, but rather, in any event, for World Peace, and objective which can and should be attempted.” According to the Times, “[Fidel’s] absolutely right.”  His essay also commented on Cuba’s hosting on October 20th the Extraordinary Summit of the ALBA-TCP on Ebola as discussed in another article in Granma. The failure of the Obama Administration to embrace Cuba’s heroic contributions to the fight against Ebola unfortunately is consistent with the Administration’s pathetic pseudo-rebuttal of the many arguments for normalization of U.S.-Cuba relations as discussed in a prior post. In an another recent essay Castro impliedly endorsed the New York Times editorial calling for normalization of U.S.-Cuba relations while he quoted virtually all of the editorial itself without any disagreement (with one exception), even to the editorial’s criticism of the Cuban economy and its treatment of dissidents. See also Londoño, Still Pondering U.S.-Cuba Relations, Fidel Castro Responds, N.Y. Times (Oct. 14, 2014).